Are you looking for unique gifts for your friends and family this holiday season? 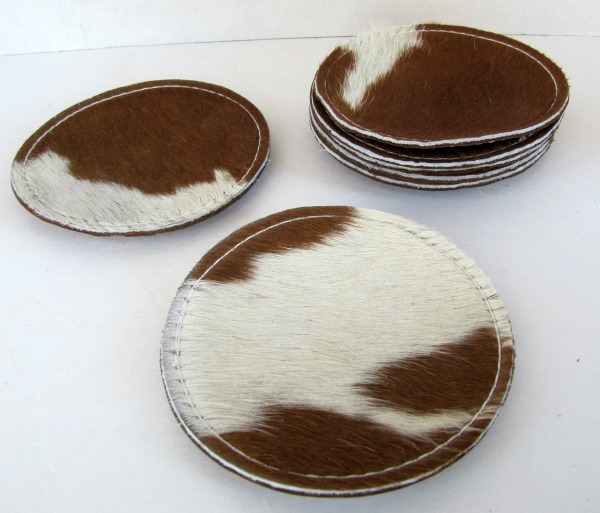 If so check out my one of a kid sets of hair-on cowhide coasters. 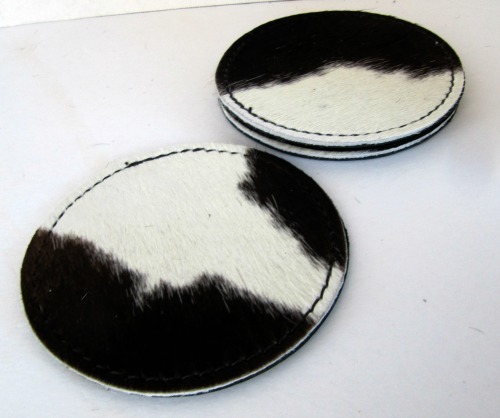 These "Texas" size coasters are extra large and will fit andy cup, mug, wine or champagne bottle. 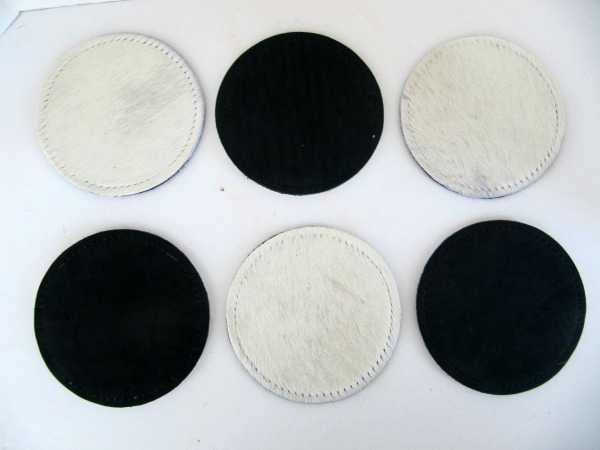 These reversible coasters are leather lined and come in a variety of colors. Check out my Etsy store for a wide selection of not only coasters but dog accessories, bracelets, napkin rings, and more!